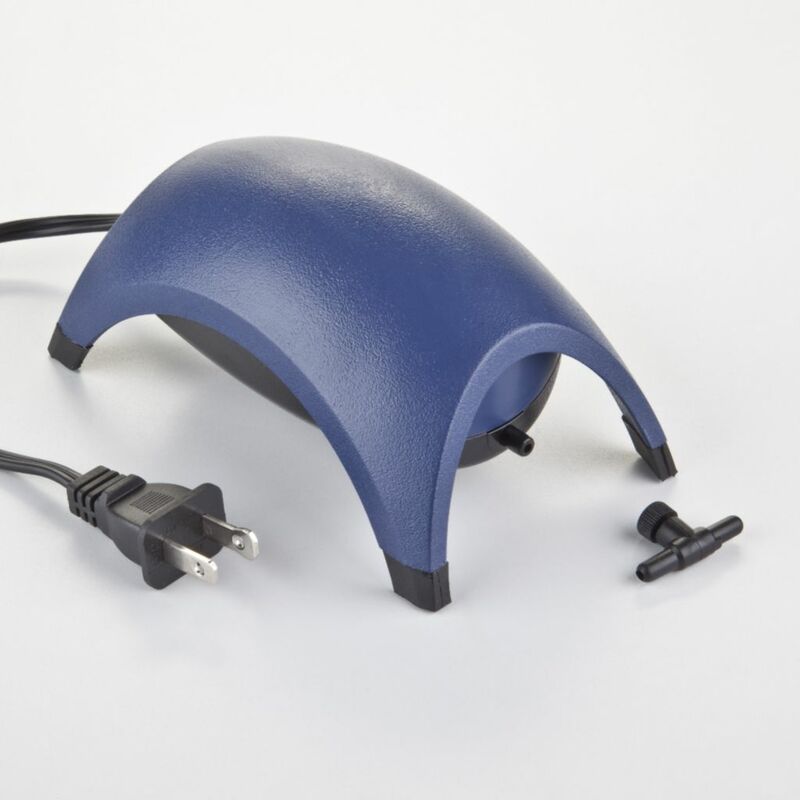 The patented dome shape and sound dampening chambers of this air pump minimize turbulence and produce a smooth, quiet stream of air. 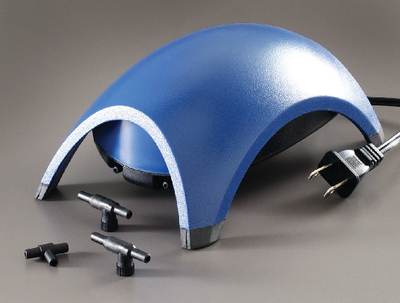 Further sound producing vibrations are eliminated by wide footprint, rubber feet and a suspended pump motor; while thick walls also help insulate motor noise. Designed for use with both fresh and marine water, this pump features powerful diaphragms that provide ample airflow for deep water applications. Uses standard-size aquarium air tubing (not included). All Sizes below the Whisper 60, have 1 outlet, the 60 and above have 2 outlet ports.